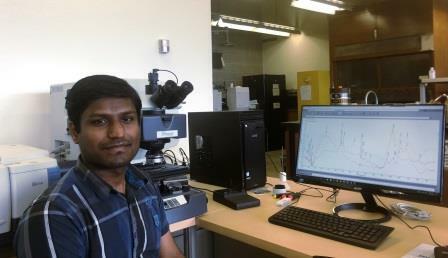 Vinoth is currently a second year PhD student at University of British Columbia, working under the supervision of Dr. Maria Holuszko. He completed his B.E. in mining at Anna University, Chennai, India in 2013, and received a M. Eng. degree in mining with co-op option from the University of British Columbia in 2015. Vinoth's industry experience through the co-op program and internships is with the Imperial Oil Limited, Singareni Collieries Company Limited and Hutti Gold Mines Limited. His thesis focusses on characterizing and extracting the rare earth elements from secondary sources. His long-term career plan is to carry out the multidisciplinary research to develop futuristic sustainable mining practices. Coal deposits with enriched concentrations of Rare Earth Elements (REEs) have been discovered around the world. Based on the supply and demand, these elements are classified as critical elements by US, EU and Japan due to its importance in clean energy and defense applications. Due to its criticality, National Energy Technology Laboratory in US has conducted prospective analysis of coal deposits as REEs source using USGS coal database which contains concentration of rare earth elements across the US coalfields. Further, US Department of Energy has funded phase — I of different research projects worth of US$10 million to demonstrate the techno-economic feasibility of domestic REEs separation technologies by 2023-2025 from coal and/or coal by-products. Even though literature indicates the presence of REEs in some Canadian coal deposits, especially in BC coalfields, there is no proper quantification, characterization and extraction analysis currently available for coal deposits in BC or even in other coal deposits across Canada. This study started by carrying out preliminary analysis of REEs in southeastern coal deposits of BC, which shows potential and necessities further study to characterize coal deposits across the province. The aim of this study is to develop a preliminary database of rare earth concentrations across three different coal fields in the BC. Using this new data and existing data in COALFILE reports, further data analysis will be conducted to find indicator, which can be used to quantify the rare earth resource in the BC coalfields. Additionally, a procedure will be developed to characterize these rare earth associations in BC coal deposits. These characterization results are required to develop a successful exploitation techniques and attempt will be made to concentrate these elements from the potential source.